Today I had given real time calls on my blog so that readers can understand my trades real time. All three trades were successfull. See the charts and explanations below. First one was Bajaj Auto. Today I was watching Auto stocks, since they were in demand yesterday. Also I had posted yesterday that Bajaj Auto could not move up due to days high acting as resistance and hence I did not go long. 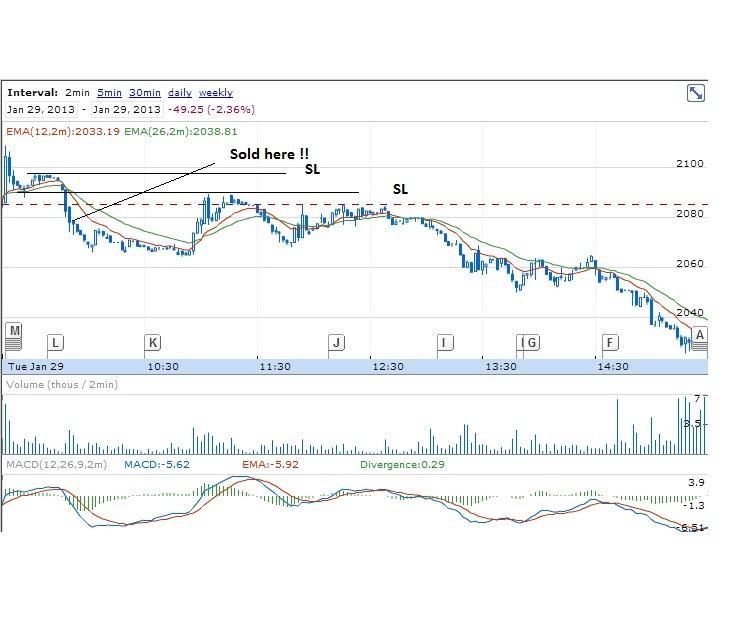 Today I saw Bajaj Auto crossing days low and I was sure that lot of people who went long yesterday would have carried forward their positions and their SLs would get hit. So I gave this call. 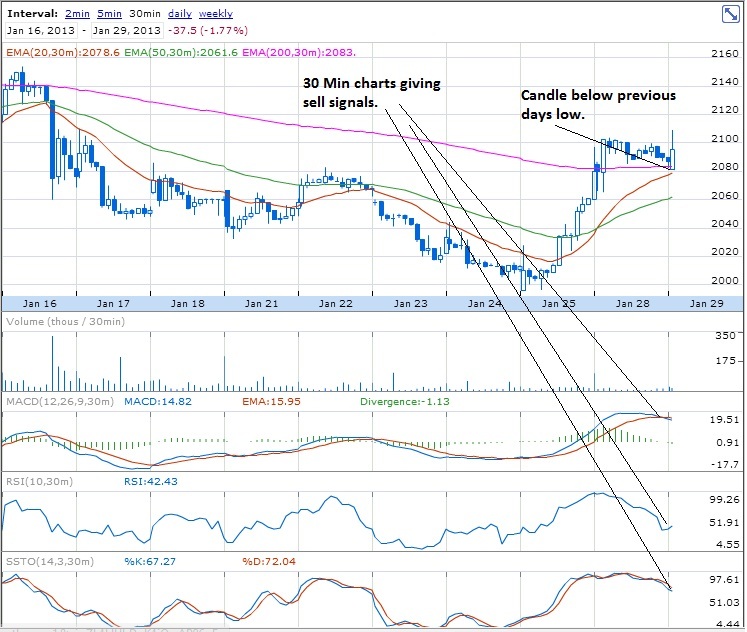 See the first candle in the 5 minutes chart. It has a long tail above it. What does that mean ? Candles tell stories and it is always interesting to listen to them. When market opened , lot of people jumped in to Buy Bajaj Auto, thinking that auto stocks will rally today. But this was used as an opportunity to offload yesterdays holding by those who were long. So ? The rally failed. So the day starts with a failed rally. 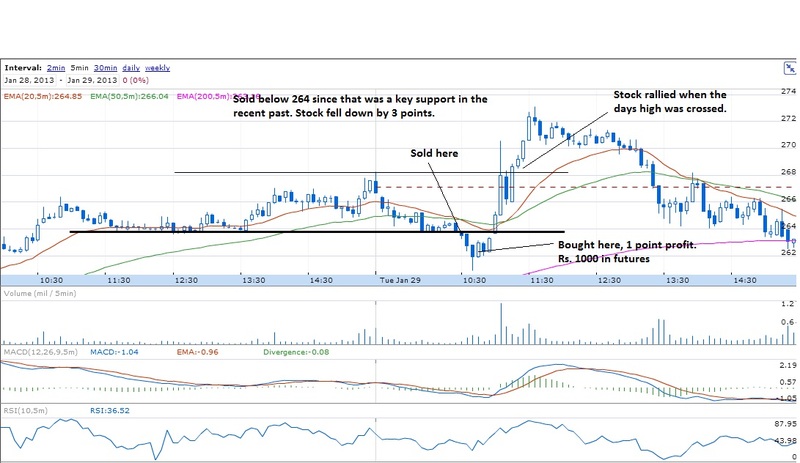 Stock made an attempt to move up further, but it was faced by selling and crossed days low. This is when I decided to sell. 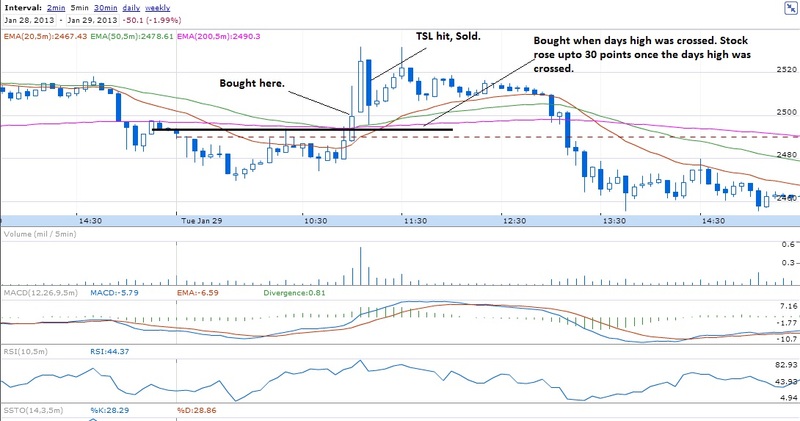 Simple strategy, sell below days low at 09:50 AM. See the charts. 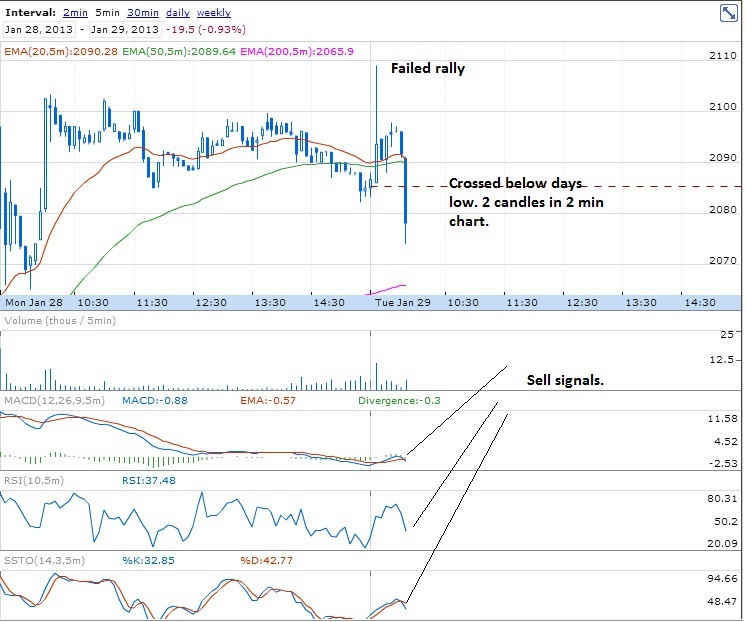 When I looked at the 30 min chart of Bajaj, even that was giving sell signals. Important point: If a stock crosses below previous days low, then it is sureshot sell, unless there is a major support area nearby. 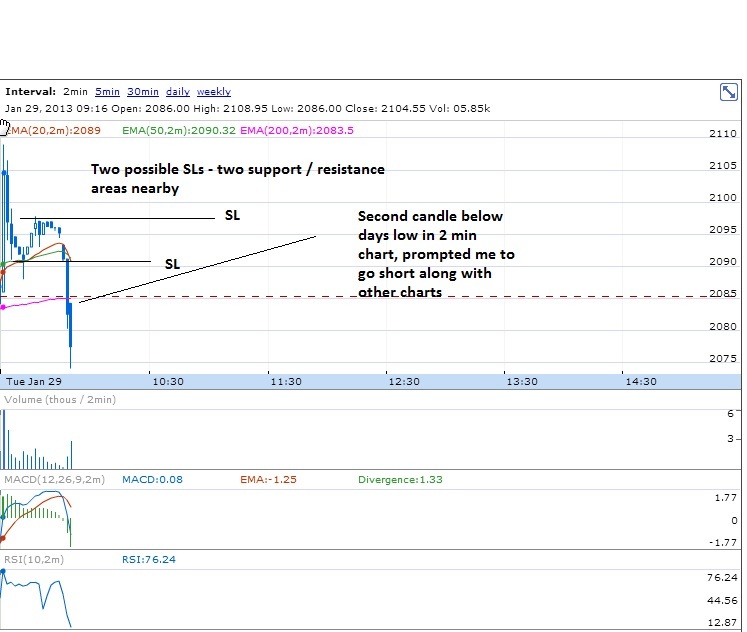 2 min chart showed 2 candles below days low. Where is the stop loss. No need for complex mathematics here, immediate previous points where the stock paused before moving up or down. That is it. See the chart below. Starting the day in negative, the stock ended more than 2.5% down today. In between it tried to cross our SL, but it could not cross. Decide on yourselves where you would have booked the profit.